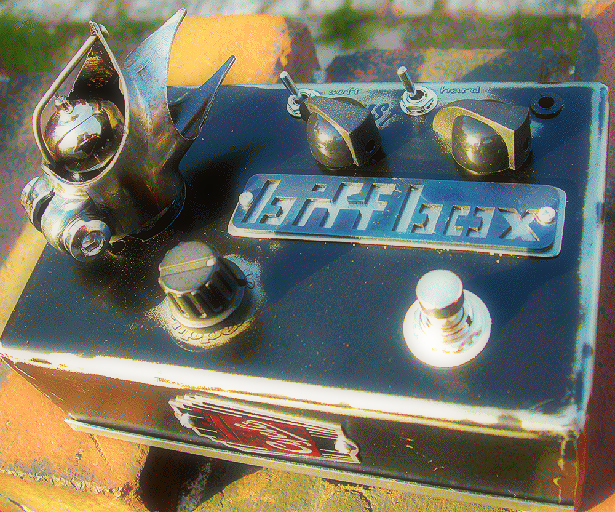 Biffbox is a new and unique builder of boutique / custom guitar effects pedals based in the U.K..
As of May 2012 only 20 have been produced. Biffbox pedals are individual, one of a kind guitar pedals housed within handbuilt cases, each one epoxy enhanced, oven cured, and lacquer finished. As you can see the final pedals are remarkable. Each pedal is individually customised with parts from cars, bicycles and more – the badges from the donor machines fixed onto the pedal. The results are some of the best looking effects pedals out there right now. At the moment Biffbox’s unique valve housings include Derailleur, Caliper brake, freewheel, chain, seatclamp and hub components bastardised from bicycles. The overall effect is of a guitar pedal that means business. Silver soldered, cross wire designs built around 12AX7 tubes with true bypass. 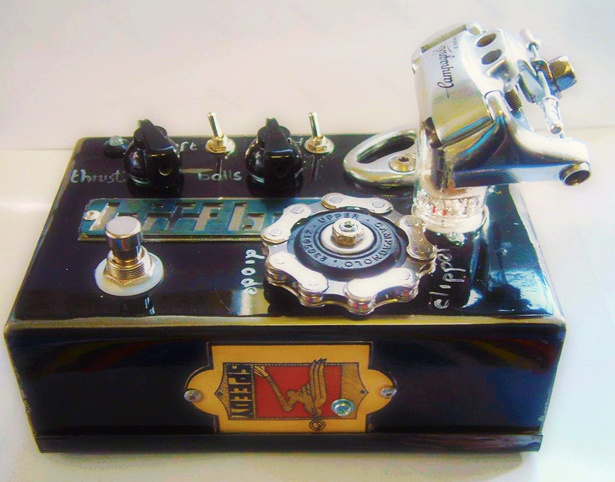 This attention to detail definitely gives Biffbox pedals the edge over mass produced, production line stomp boxes. They don’t cost the earth either. 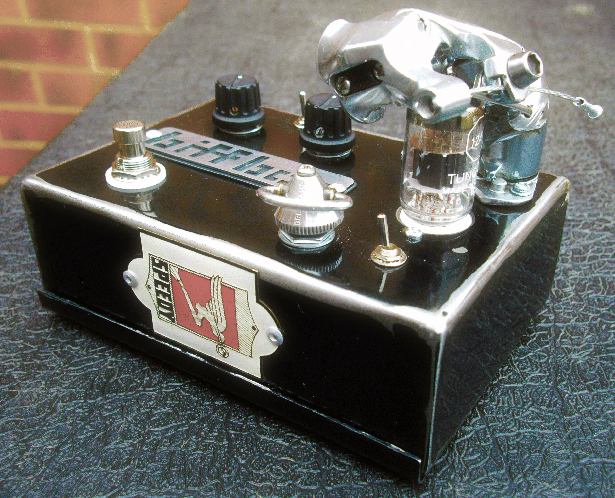 You can choose either pure “OVERDRIVE” for classic valve tones or the “DIODE CLIPPER” model with three clipping mode options with a low to medium gain. Each of these pedals will add some serious warmth to your signal and add a full flavour and rich character to your guitar tone. They also build a Biffbox specifically for bass guitars. Biffbox have started work on their flagship 100w V8 Biffbox Amplifier. A high powered guitar amplifier in the style of a V8 engine and are about to become authorised as a dealer for the amazing ‘Tung Sol’ valve/tube company along with other leading valve brands such as ‘Electro-Harmonix’, ‘JJ’ ‘Svetlana’, ‘Genalex’ and ‘Winged C’. This is their website – Biffbox.